UPDATE. There is a (much cheaper) Kindle edition of this book to come soon, but it is not currently listed on amazon or other sites. Seems oddly appropriate that I should be celebrating my 64th birthday with a new book that attacks a centerpiece of the unholy alliance of neoliberalism and Old Corruption that has been running and ruining British universities for the last thirty years. Published December 3, 2015. Lets hope it has “impact”! For more details see here. Prev Post: Time to abandon the gold standard? Peer review for the REF falls far short of internationally accepted standards. 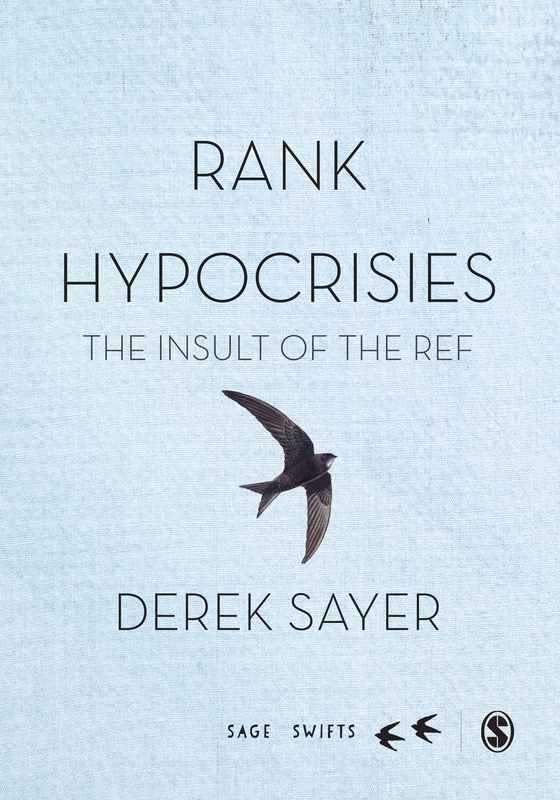 Derek Sayer’s book on the REF now published – for a short book this is very expensive, but a cheaper e-book is forthcoming.